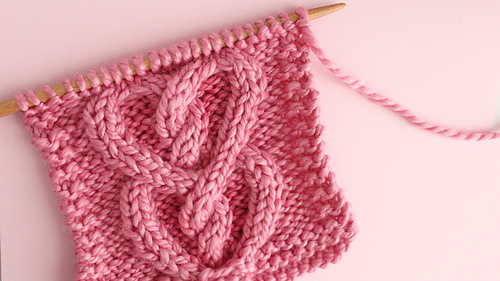 Knit up a Cable Heart Stitch Pattern! This interlocking design is a classic project for Valentine’s Day and perfect all year round. 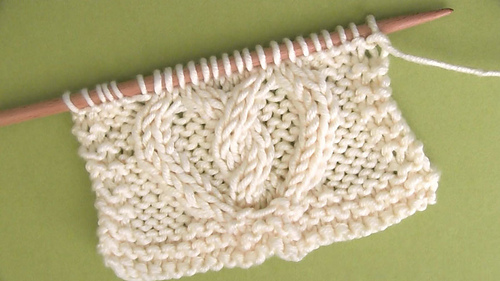 These vertical panels can be knitted to make up so many fun projects. 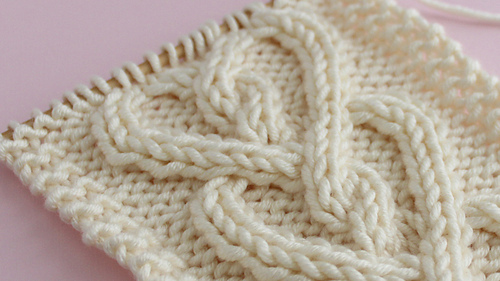 I think these pretty hearts would look great as a scarf. 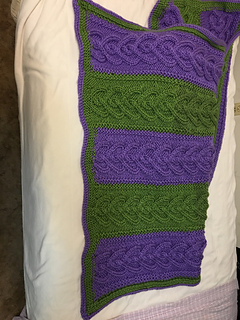 Multiple panels can create a blanket of any size, too. 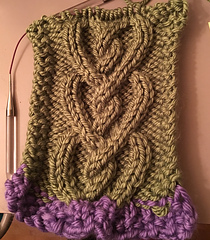 It’s always fun to see the cable design emerge as you knit. And hearts make it an extra special project filled with love. 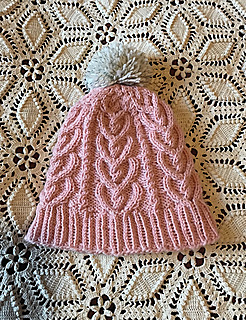 My featured samples were created with size 11 US knitting needles and #5 bulky weight yarns, resulting in a 7″ wide knitting piece.